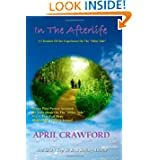 To insure that you receive future editions: ~ Add AprilMediumship@aol.com to your address book. * "Achieving A Good Relationship"
* If you have Facebook... please hit the LIKE button on VERONICA's Facebook page! * Link to a directory of VERONICA's (free) videos on YouTube. * Listen to Radio Interviews with April and VERONICA HERE. * Our Amazon Affiliate link. If you plan to go to Amazon anyway, if you use our link you will help us... at no cost to you. * Skype is getting Really Good to call anywhere for pennies a minute! * How to Change Your Own Email Address so you continue receiving "Inner Whispers" at your new address. "It is important to acknowledge the supreme value of your soul. The physical life you lead is being conducted by that very energy. The sense of self often labeled the ego fights for control of events. In most cases, the ego wins out, but forever seeks the reconnection to the soul. In your cultures the ego, missing that energetic relationship, creates a search for their "other half". Some define it as a soulmate that is needed to compete the lack that the ego feels. In reality, it is the desire to reconnect soulfully to the wholeness felt when not embodied. Perhaps it is time to realize that another energy does not complete you. The soulful connection is within you and does not need completion through outside participation. Souls who are more acquainted with the non-linear often find the physical linear a void of isolation. The only remedy being a reconnection to one's own energy. We are often questioned about connection, so we realize it is apparently a crises situation for some. In seeking the wholeness of the self, the only true answer is to be complete within your own energy. A good relationship in the linear can only be achieved by two "whole" souls, not two halves. Both parties need to realize self completion before embarking upon a relationship. Two halves may make a whole, however, two strong whole energies make for a good relationship. The meeting of two whole energies sends a wave of harmony throughout the linear and non-linear. Is it our soul we listen to which is our higher self... or, do we get help and messages from our guides, which are not our self? Your soul is continuously communicating with you while in the physical. Guides offer different perspectives and can often get to you when your connection to your soul is at an impasse. Both inputs are often needed in the physical reality as it is often a difficult one. The messages are always in harmony, just a different frequency. 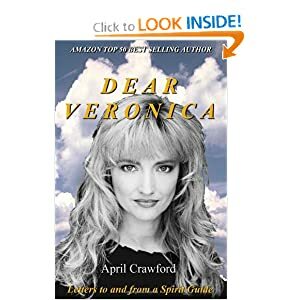 You can send letters for Dear VERONICA to AprilMediumship@aol.com. Note that only letters to Dear VERONICA that are chosen for publication are generally responded to. 1) Are the readings specific to me, or are they more general? All conversations with VERONICA are very specific to you and those in relationships with you that you may be discussing. When you talk with VERONICA, she is talking with YOU as an individual. She is reading your energy and the energy around whatever it is that you are discussing as the conversation progresses along the lines that you specifically are interested in individually. 2) Can other people be on the call? Yes, many people have friends or small groups that talk with VERONICA. My only suggestion is that if personal questions are being discussed, that you go one at a time rather than back and forth among the group, as VERONICA focuses in specifically on who is asking personal questions and it is more efficient to let one person go for awhile rather than back and forth in ping pong fashion. On the other hand, if general questions are being asked, like "Is Reincarnation Real? ", for example, then it is fine if people just jump in with their questions as long as they do not cut someone else off. Note: There is never any extra charge for additional people being on the same call. However, it is usually a good idea to having a host or moderator on your end. 3) What subjects can be discussed? Are there any questions that VERONICA will not respond to? The sessions are conversational in nature. You can ask questions or discuss whatever topics you wish. However, with some subjects you may get an explanation rather than a direct answer. For example, we do not offer the service of talking directly with "dead" relatives or any entity other than VERONICA for telephone sessions. Also, we do not offer the services of finding lost people or things, solving crimes, or fortune telling (making predictions of the future). Questions about future probabilities are OK, as long as you realize that VERONICA will typically discuss so called "future" events only in terms of either what the probabilities are, or, how to better create the events you desire by making more aware choices. It is important to understand that everyone creates, literally, their own future, moment by moment, based upon your choices and believes. Nothing is written in stone. This is a free will dimension and every individual has the power to change their future, sometimes with a single thought or action. 3) When I call, will it be April or VERONICA that answers the phone? When I am speaking, do I address myself to April or VERONICA? Well, in most cases I (Allen) answer the phone. After some introductory exchanges, I ask if you are ready to go? When you say "yes", I then say something like "April is here drifting out as we chat so VERONICA can come in. When VERONICA gets here in a few seconds, I will leave the office and it will be just the two of you" (Or in the case of a group, just the three, four, or whatever number of you as appropriate. The point being that I leave the office. The sessions are completely private. You will always be talking with VERONICA (not April) and you can discuss whatever you wish in complete privacy. 4) What if I have something EXTREMELY personal and out of the mainstream on my my mind to discuss with VERONICA? You can discuss anything with VERONICA without any concern for being judged. And by this, I mean ANYTHING. VERONICA has incarnated physically many times, is now very highly evolved and experienced, and frankly, VERONICA has seen and done it all. It would be very unlikely that you could, for example, shock VERONICA in any way. VERONICA can be very comforting and informative regardless of whatever subject YOU think might be sensitive or "edgy" to discuss. 5) How often should I talk with VERONICA? How often is completely up to you. I can tell you that some people talk with VERONICA once or twice a year, while others talk with VERONICA two or three times a week, every week. Some always take half hours, while others always take hours or always take 90 minutes. Still others mix and match times. 6) Does April do in-person sessions? Yes. But by far and away for practical reasons, most people talk with VERONICA by phone. The information is the same and VERONICA can look at your energy and the energy of those around you, and the events around you, regardless of physical distance or time. Is it cooler to talk with VERONICA in person? I think so. But that is just like any meeting. In-person is more intense, but via telephone is usually more convenient and practical. 7) Can I speak with my own guides or "dead" relatives in phone sessions? For phone sessions VERONICA is the one you will talk with. For in-person session and sessions related to our Patron and Research Partners... anything is possible. 8) Should I send my questions or photos in advance of talking with VERONICA"
No. Neither VERONICA nor April read emails related to sessions (other than thank you notes or testimonials after a session, which are always read and saved). If there are things or background that you wish to convey to VERONICA, you can do so when you talk with her. 9) Is it OK to call using Skype? Yes. Calling by any means is OK, whether it is Skype, Google Phone, International Calling Cards, Cell Phones... all are fine. Just note that we use a regular landline on our end. In order to call a landline under most Skype plans, you must first make a small deposit of a few cents per minute into your Skype account BEFORE you make your call. 10) Should I have some questions ready in advance, or should I just sit there and wait to see what VERONICA will say? The sessions are conversational in nature. It is a big cosmos. It is a good idea to have some questions in mind or a least a good idea about what topics you wish to discuss. 11) How can I get the most out of my conversations with VERONICA? Just be relaxed and have a good idea about what you would like to talk about. There is nothing to be at all nervous about when talking with VERONICA. She is the most comforting non-judgmental easy to talk with being that you are ever likely to encounter. Regardless of the issues at hand, you are likely to feel better and even enthusiastically so after a conversation with VERONICA. Many people call VERONICA just to chat and share their lives from time to time. I include myself in that group. PS: If you ever have any other questions about readings/consultations with VERONICA, always feel free to just send me an email at AprilReadings@aol.com. I will be happy to assist in any way I can. Note: Although VERONICA's newsletter messages are intended for a wide audience, telephone consultations/readings are specific to you personally, and highly individual regarding you and any personal relationships you wish to discuss. You can ask questions or discuss whatever personal topics you wish directly with VERONICA, and with no judgement, regardless of your issues or lifestyle. April is currently offering both half hour and hour personal telephone sessions. Longer sessions are available by special arrangement. Making a personal connection with VERONICA can be really great on many levels.... and... you make a multi-lifetime friend in the process. 1) Romantic and Family Relationships. 2) Personal and Spiritual Growth. 3) Spiritual and Metaphysical Studies. 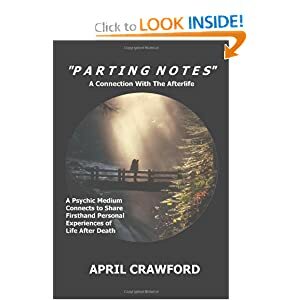 4) Personal Past Life Discussions. Many people talk periodically with VERONICA throughout their entire lives. The conversations with VERONICA are two-way and fully interactive. You can ask questions or discuss whatever topics you wish. Some talk with VERONICA much more frequently than others, but by far most of the people that VERONICA talks with have talked with her before. In addition to being a personal conversation with a highly evolved entity and guide... it really is like talking with a very good friend. Certainly, in addition to April, VERONICA is my (Allen's) best friend, adviser, and life coach. 3) Your own Personal and Business Relationships... and your own personal development and growth. If you are looking for someone outside of your usual circle to talk with at a professional level and with a unique perspective and expertise... and the ability to read and analyse the energy surrounding any person, place, relationship, or event... consider talking with VERONICA. Telephone access to VERONICA can be a huge and practical asset to you personally and to your practice and business. Note: You can read some Thank You Notes and Testimonials from people who have talked with VERONICA HERE. IF you are going to AMAZON anyway... if you use any of our links on THIS PAGE to get there, you will help us.... at no cost to you! Once you get to Amazon, you can go anywhere you want on that site and we will still receive credit as long as you don't leave the site before checking out. If you or someone you knows makes International or any long distance calls that are expensive, you should really look into using Skype. The service is free if you call other Skype users anywhere in the world. But, you can also call any regular phone for a few cents per minute... anywhere in the world. When Skype first started a few years ago, I was somewhat concerned about possible sound quality. But today, VERONICA receives many International calls, and more and more of them are using Skype. "To unsubscribe or change subscriber options visit:"
The link that immediately follows the above heading is individual and specific to you. It will take you to your own custom web page. 2) In the upper left hand corner of that web page, click on the link that says "Edit Contact Information". Then, when you get to the next web page, change your email address. and click on the "Submit Button". 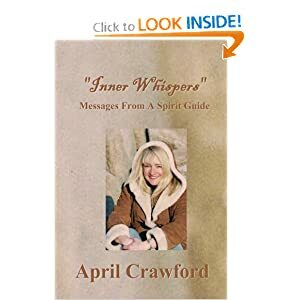 An IMPORTANT NOTE about Forwarding your copies of "Inner Whispers". It is ok to forward any "Inner Whispers" issue. 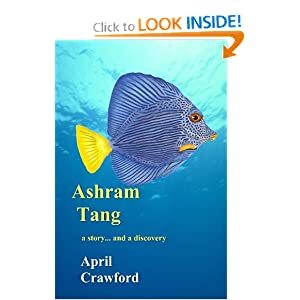 This newsletter and all materials published by April Crawford are copyrighted. "Dear VERONICA", "Inner Whispers", and "Ashram Tang" are trademarks. 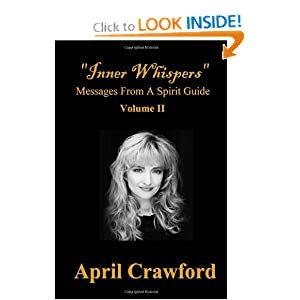 Sign Up for "Inner Whispers"